There are several different poses in yoga for beginners. The beginners can perform them without much labor. If you want to get the best results, you must be performing all the poses exactly as they are. You may also find some of them just undoable. But you should not quit it on the way. They seem so only in the beginning. Just keep on performing yoga exercise slowly and steadily. If you are persistent in your effort, the day is not far when you’ll feel confident to call yourself the master performer of yoga. Can you go on your own with yoga exercise? Definitely not. 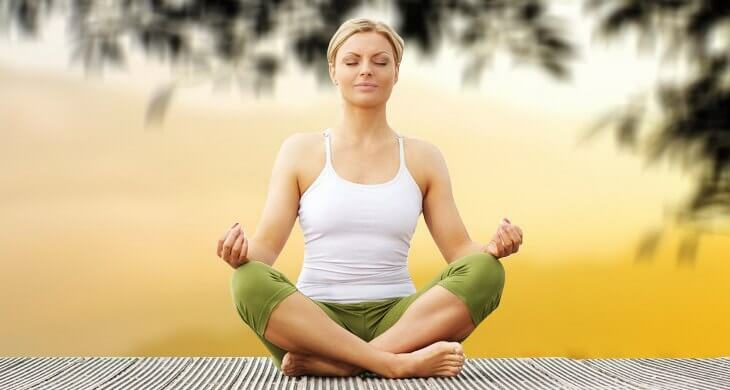 You should at least go through the basic yoga for beginner tips. After building enough strength and confidence, you would be able to take the yoga practices deeper. Here are some of the poses that you need to perform as a beginner while starting the practice of yoga. In this case, you need to stand in the upright position just like a tree for around 30 seconds. Start it with standing up and arms at the sides. Lift the right leg and shift weight onto the left one. Meanwhile, raise right foot and place the sole inside the left thigh. After attaining balance, bring hands in the prayer position. Put the palms of hands together. Now take a deep breath while raising the arms right above the shoulders in such a manner that the palms face each other. Maintain this posture for about 30 seconds and relax. After that, repeat the same process while shifting the weight onto the right leg. Perform the warrior pose by stretching the feet three to four feet apart in the standing position. Try to maintain the right foot at right (90 degrees) angle and tilt the left foot slightly inward. In the next step, extend arms out to the sides with the palms facing downward. While keeping it over the ankle, bend the knee at right angle. Finally, turn your gaze towards the right hand and maintain this posture for around a minute. In the downward dog pose, each of your hands and feet should be touching the ground. So, start it with knees under the hips and hands below the shoulders. Take the hands a few centimeters forward. Try to press arms against the mat by spreading the fingers wide. Bring the body in inverted V shape by pressing the hips against ceiling and curling the toes under. Slightly bend the knees and stretch the feet hip-width apart. On the other hand, press the shoulders away from the ear. All done! You are now in downward dog position of yoga for beginners. Maintain it for the three full breaths. As the very name suggests, you need to twist your body in a bridge like position. It may seem to be a bit difficult, but in yoga for beginners you will have to move gradually towards more difficulty. Well, start it by lying on the floor and raising the knees directly over the heels. Straighten the arms and place them at sides. Now, exhale and lift the hips above the ground. Keep them lifting till the thighs become parallel to the floor. In the end, bring chest towards the chin and maintain this bridge posture for a minute. In the yoga for beginners triangle pose, you need to twist yourself in such a way that your body makes two triangles. One tringle is complete while, in the second triangle, the floor serves as third side of the triangle. You can start it by extending each arm to the side. Bend the body over the right leg in the manner that the right hand touches the right leg somewhere between knee and ankle. Stretch the feet up to three feet apart. Turn the toes of left foot to 45 degrees and that of right foot to 90 degrees. The next step involves the pointing of the fingertips of left hand towards the ceiling. Meanwhile, your gaze should also be turned towards the ceiling. Finally, your body is in the “triangle” pose, and you need to hold it for five breaths. After that, stand and repeat the same pose on the opposite side. Above are some of the important yoga for beginners exercises. While starting the practice of yoga, you need to perform these poses as accurately as possible. With the passage of time, you will build stamina to perform hard and more difficult poses.